Check out these two upcoming Star Wars audiobooks, newly added to our Fall 2014 list. The Force is strong with these audios. Available on CD and audiobook download. 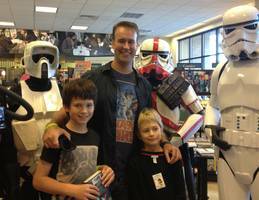 Star Wars audiobook narrator Marc Thompson is back! The first Star Wars novel created in collaboration with the Lucasfilm Story Group, A NEW DAWN: STAR WARS is set during the legendary “Dark Times” between Episodes III and IV. In case you missed it, be sure to watch this funny and informative video about Thompson’s recording of Vision of the Future: Star Wars. Learn how Marc keeps all of the character voices straight and what it’s like working on the Star Wars series. Available as an audiobook download only. Bestselling Star Wars veteran James Luceno gives Tarkin the Darth Plagueis: Star Wars treatment, bringing a legendary character from A New Hope to full, fascinating life. 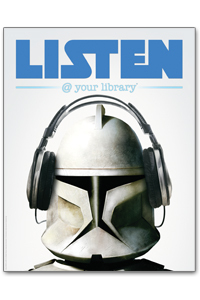 Want to promote more STAR WARS listening in your library? 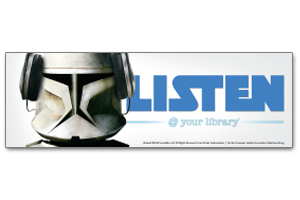 Visit the ALA Store to find these out-of-this-world Clone Trooper LISTEN posters and bookmarks! 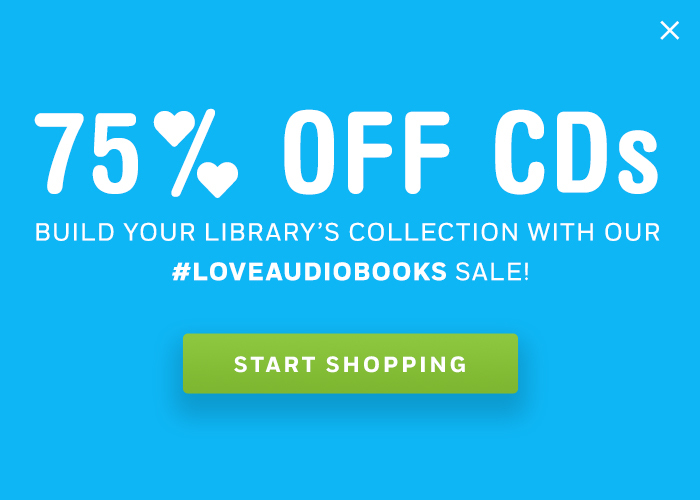 May the Audiobook Be With You!